We have in store for our clients a comprehensive array of Panel Board Accessories, which is available with us at reasonable prices. 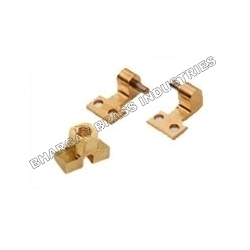 For designing & developing these accessories, we adhere to industry laid standards & norms. Further, our offered array of accessories is available with us in various attractive designs, finishes and sizes. Looking for Brass Neutral Bars ?